Man, it’s been a while since I’ve blogged… I’ve been busy and I guess there just hasn’t been much news of interest to report. Until just now. It seems that the 24 hour human powered vehicle record from 2006 in Eureka, CA was picked up by the editors of the 2009 edition of the Guinness Book of World Records. There is a photo of Critical Power on page 113 directly beside Richard Branson – one of my hero’s. That is quite a thrill for me! I actually met Richard Branson when we were on a family vacation in Maui. We were walking on the beach at night looking up at the Hale-Bopp comet – remember that? And we walked right into Sir Richard Branson who was out for a stroll with his family. I introduced myself and shook his hand. 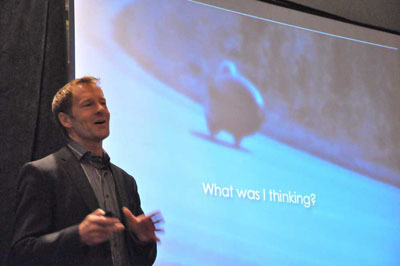 Other news is that Guinness has ratified the 245.16 km human powered boat distance record from Whitefish Lake last month. The IHPVA still hasn’t ratified it – that could take years (seriously). I am training rather hard these days trying to increase my short-term power output, which, after so much training this summer, is very impressively average. My coach is Jason Yanota and the goal is to try to get my power output up to somewhere near 280 to 300 watts for an hour. There is an intermediate challenge that I am focusing on that will require at least 250 watts straight for one hour. Any ideas, suggestions, hints, thoughts, questions about HPA’s – let me have’em. I’m not sure exactly what kind of record, or what kind of human powered airplane this would be – or even if I will build it. Just doing some information gathering and learning work before planing the details of a new record attempt. This is not to suggest that Pedal The Ocean trans Atlantic project is off. 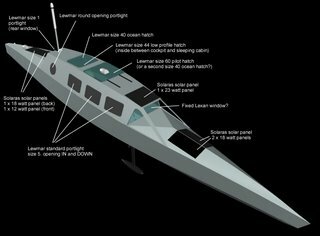 One of my goals this early winter is to start construction of the new ocean crossing vessel. Nimbus kayaks is interested in building it for me, or I could build it myself – I’m open to ideas. If anyone knows of a good boat builder, please let me know. On the Human Powered Aircraft idea… that is a REALLY big nut to crack! I have been interested in that idea (as an artist/engineer and not a aviation engineer) for several years now. I built an extremely CRUDE HPA in 03 for a Red Bull Flugtag event and have since really gotten interested in the concept. It's really very hard. 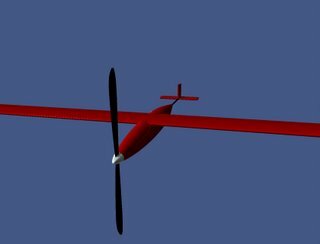 Though it's probably a dead-end, I have been thinking about the Custer Channel Wing design as a light HPA concept. But that is the sculptor in me. Oh, by the way… human powered aircraft tend to crash. Congratulations for making it into the Guinness Book of World Records. Hovercraft, Greg. Building and setting new records for Human Powered Hovercraft is ripe for some exciting advancements. Some work has been done in Britain and Holland in the past ten years. It might be the ideal place to begin experimenting and to perfect construction methods before going for higher altitude. Perhaps new material technology can help get you off the ground! Well Greg, I guess an HPA is the obvious, though extremely challenging, next step! An intercontinental flight – USA to Russia across the Bering Strait. Altitude – there is no official or unofficial record for this, possibly thanks to the old saying 'Don't fly higher than you're willing to fall'! If you take on an aviation challenge, be under no illusions – technically it'll be your toughest challenge yet. I knew it was only question of time to see you lifting the head – and realizing, "hey, there is something I can do about it?" UdeM tried too here, in Canada, looked promising last year with the rottor placed under he rider: right into the ground effect! Worth of looking into it? I can't understand why it should take the IHPVA more than a month to ratify Greg's record. It is not like they are receiving droves of record setting documentation for review every month. Slow ratification makes them seem uninterested and hurts the human power movement when trying to showcase what is possible with human power. By letting the Guiness group get the jump on them, the IHPVA risks losing their relevance to the mass media and the rest of us. RATIFY GREG NOW! 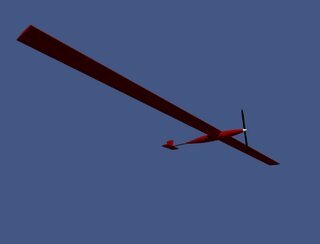 The current distance/endurance record for a human-powered aircraft is already quite hefty; 74 miles and just under 4 hours. See MIT's Daedalus. Note that this craft was so fragile that some gusts of wind snapped the tail boom and the main spar! And it was only 31 kg. 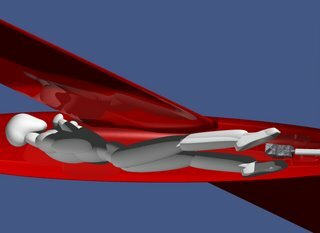 Most recent work has major changes that will allow FAA cert wings and fuselage for a human powered soaring glider, the design goal. 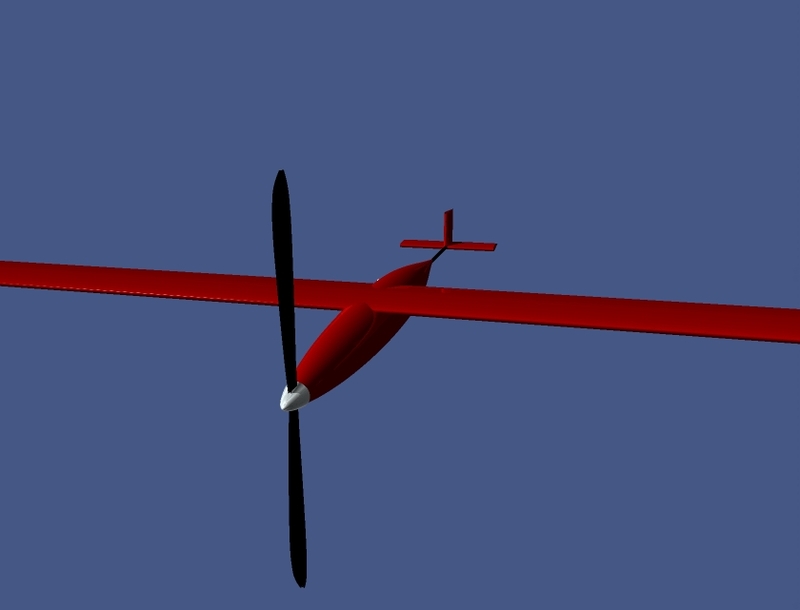 #Able to change chord thickness quickly and accurately, 2-3 seconds, allows the wing to speed up to 80-kts is a goal. #Rudder is moved to become the aft part of the fuselage. #Elevator moved to strut on upper fuselage to eliminate the tail entirely. #Wings have to "bolt-on" for traveling. #Reduce fuselage volume as much as possible. #Airframe based on custom I-beam construction. Could be pusher prop, I like the prop in front but the wash can make it not worth it. Anyway, the controls and variometer of course but also some new ones that'll help the pilot with making the right choices on settings quickly in a situation. Am trying now to get it into cad, then use x-plane to "fly"it and get thrust data and stuff, 1/6th model planned soon, have Profili to help with that.